We are usually seeing natural water sources more mirror like structure, not being fully aware of the vibrant life under. But water covers 71% of the Earth’s surface, unfortunately it gets destroyed before we even know what’s in there. There’s still a lot to explore, scientists says, we know only about 5% of the oceans. As most of our planet doesn’t feel the sun, it is in eternal darkness. Bioluminescence is rare on the ground, but almost a must in the deep. 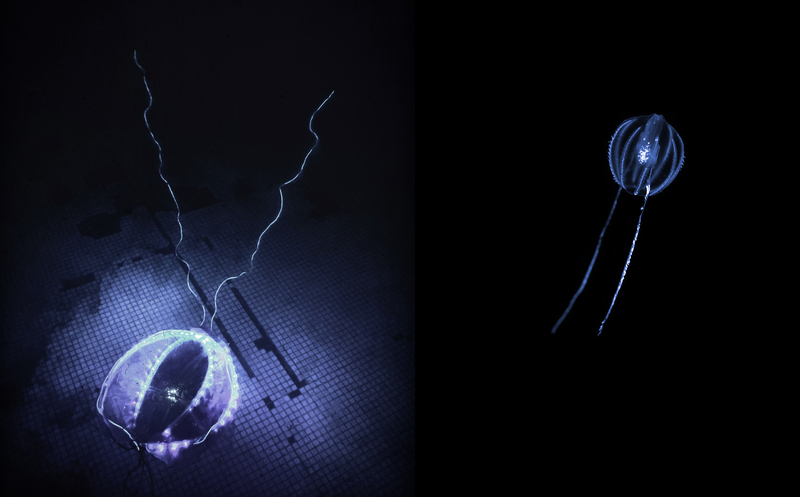 Using combination of lights and open source programming to achieve generative light show, reminding us of deep sea creatures. It’s an effort of extending biological evolution to simulate a new life form. It also offers questions of communication between artificial and natural species. Placed in an outdoor fountain, people with otherwise no time to look at art within a gallery setting, might get an inspiration and a sense of fantasy of our world.